In this third installment of our Gear Corner 'deep dives' into how we engineer your camera bags, we are looking at hardware. The buckles, clips and snaps that secure your gear, and enable your bag to fit and function. From compressing a half-full bag in order to keep your gear stable, to attaching your camera on your chest, these little components keep everything together. Like every other component, there's a history behind their development and a multitude of choices that we go through to find the best for our bags. Every day we reach into our bags and packs to grab something we need. We adjust the straps, clip or unclip accessories, maybe snap one of the pouches closed. We’ve been doing this exact thing for thousands of years. And while this repetition of behavior might seem trivial, think about what a marvel of invention each one of those small devices, from hooks and loops to snaps to buckles, really is. These relatively simple designs continue to be used in everyday life, all around the world. In this episode of the gear corner, we look at the different kinds of hardware we use on our bags, and what the future of hardware and fasteners might look like. Snap together connectors have been used for thousands of years. Early predecessors of Snaps were present in the Qing Dynasty in China, as early as 210 BC. Used to fasten horse halters, these early snaps used a pin between two metal components to lock a connection in place. Simply removing the pin enabled the components to be separated to remove the halter. Today, the snap fastener consists of interlocking discs, made out of a metal or plastic, commonly used in place of buttons to fasten clothing and for similar purposes. A circular lip under one disc fits into a groove on the top of the other, holding them fast until a certain amount of force is applied. Modern snap fasteners were first patented in the mid-19th century in Europe, and the early 20th century in the United States. In terms of function, materials and construction, snaps have not really changed much since then, and the snaps that you find on your jeans or your school backpack are virtually identical. f-stop uses snaps in our Urban Series packs and Accessories, and yes they are essentially the same. Because snaps don’t completely close a pocket, we use snaps to hold pocket-flaps down or to hold parts in place. Find an old painting. Like, a really old painting, one that pre-dates cars, radio, even modern plumbing. Assuming the painting includes people, and those people are wearing clothes, you’ll notice one of the more innovative and ubiquitous inventions in history. The simple buckle has been used to carry swords, hold up clothing, and fasten saddles for centuries. And while the modern buckle has changed dramatically over time, and slowly evolved into a slick, strong device with millions of uses, it’s yet another example of technology we take for granted. So let’s explore some of history of the buckle, it’s uses, the different kinds of buckles, and why it matters. Buckles were among the first devices used to fasten textiles and leather together. While it is difficult to pinpoint the exact origin of the buckle, it was certainly used by the people of ancient Greece and ancient Rome, as well as by those in northern Europe. But beginning sometime in the 15th or 16th century, the belt and buckle gained real significance for the purpose of keeping pants up for military and merchant pants up during inclement weather. For centuries, the first buckles shared a similar design, what we call the frame / bar / prong buckle above. Fast forward to the different types of buckles and clasps we use today. Much more than just securing belts, the buckle is one of the most dependable devices for securing a wide range of items. It comes in all kinds of designs, some using cams, others using simple interlocking clasps, and let’s not forget the seatbelt buckle designs upon which we stake our lives, billions of times a day. Until the 1960’s, backpacks also used metal buckles to close the various compartments and pockets on the pack, as well as adjust and close the straps and waistbelts. f-stop doesn’t currently use metal buckles on any packs, but we are always testing and exploring new innovations in design that are strong, reliable, and don’t fatigue. Hook and loop fasteners are essentially what we commonly know as Velcro. Generically referred to as Hook and Loop, Hook and Pile, or Touch fasteners they consist of two components: typically, two lineal fabric strips (or, alternatively, round "dots" or squares) which are attached to the opposing surfaces to be fastened. The first component features tiny hooks, the second features smaller loops. When the two are pressed together the hooks catch in the loops and the two pieces fasten or bind temporarily. When separated, by pulling or peeling the two surfaces apart, the strips make a distinctive "ripping" sound. Originally developed by Swiss engineer George de Mestral in 1941, this system first became commercially viable in the mid 1960’s amid a flood of enthusiasm for the “zipperless zipper”. While touch fasteners are very strong, durable, and plyable, they can be loud when opening and closing, and are subject to collecting fibers and other objects, including snow. Because the loud tearing sound of Velcro can alert a photographic subject to a photographer’s presence, and because of the accumulation, f-stop doesn’t use touch fasteners in many products. Side Release plastic (polymer) buckles are fast, easy, safe, and reliable. But are they strong enough for outdoor enthusiasts to beat up, day after day, year after year? 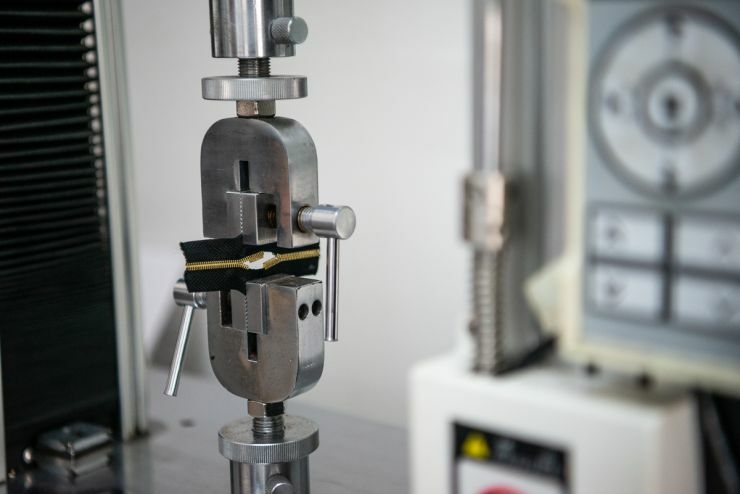 f-stop currently sources buckles and other plastic components from the leading producers, where every plastic component is tested for for pulling strength as well as thousands of cycles of opening and closing. And beyond factory testing, injection molded buckles are tested by our Ambassador team in the field... and ultimately millions of times every day, by all of us, in practice. Plastic had a profound effect on the evolution of adjusters and buckles. Just as metal belt buckles evolved into all kinds of shapes and functional designs, the side release buckle has evolved into hundreds of different adaptations. Rings, strap-adjusters, cam-style buckles, virtually every kind of buckle one can imagine, can be made with injection molding technology. Whether you want a pulley system, a self-tightening buckle, a fixed adjustment buckle, all of these are made from plastic today. f-stop uses plastic hardware on every single pack we make. The waist belts use side-release buckles for their speed and safety, sternum straps have buckles with integrated emergency whistles, we use plastic strap adjustments that let you pull the strap to the right length and adjust it quickly and easily, but won’t ever come off. Our various compression straps use adjustable side-release buckles for speed and convenience. Plastic hardware is lightweight, strong, and specifically designed to the exacting characteristics that we want. If we want a slightly longer adjustment tab on our strap adjusters, we can have it. Plastic molding and plastic buckle technology enables us to design our packs to work exactly the way we want. The Future of Connection: What Comes Next? Where will we go from here? Considering the fact that buckles and snaps have survived the past several centuries essentially intact, you can bet they will be around for awhile longer. But they will also continue to evolve. At f-stop, we look at evolution and innovation in all its forms. We see promising developments in simpler, metal and webbing hook-style buckles, magnetic closures, and we’ll work closely with buckle suppliers to develop sleeker, better products. 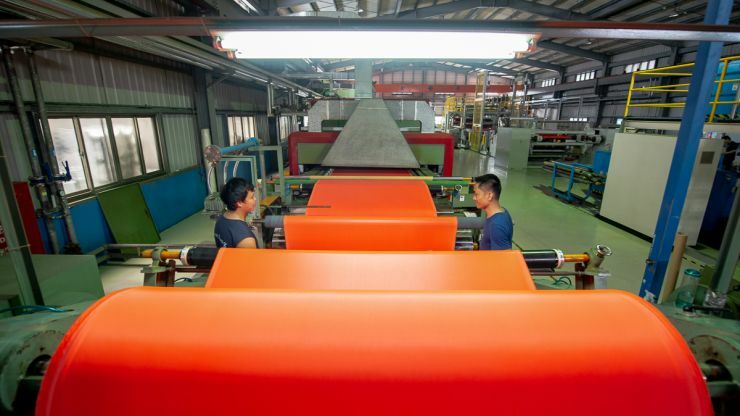 f-stop is also committed to reducing the carbon footprint of our manufacturing processes, so we’ll keep an eye on that and work with suppliers who innovate the way they produce.